Many only caress the dream of International travel. College students want to tour Europe. Others want to cruise the Caribbean to visit its postcard-perfect beaches. Let’s not forget the adventurous explorers preparing for their African safaris, or the backpacking globetrotters constantly between two destinations. All these travelers, crossing international borders, will have to face and comply with one particular travel pain: entry requirements. However, securing the needed travel documents isn’t always clear or easy. For instance, the requirements will rarely be the same between the country you are traveling from, through, and to. Figuring out which travel documents to carry and their required validity period is a maze – if not a total mess – for many travelers. 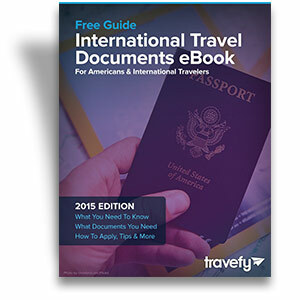 The following eBook is meant to give international travelers, coming in and out of the US, a better understanding of travel documents and to guide them to the best resources to obtain or renew such documents.